Just over a year ago, on the very hungover morning after my birthday night out, a friend of mine played a group of me and my friends a piece of music that would change my musical life forever.... I giorni by Ludovico Einaudi. 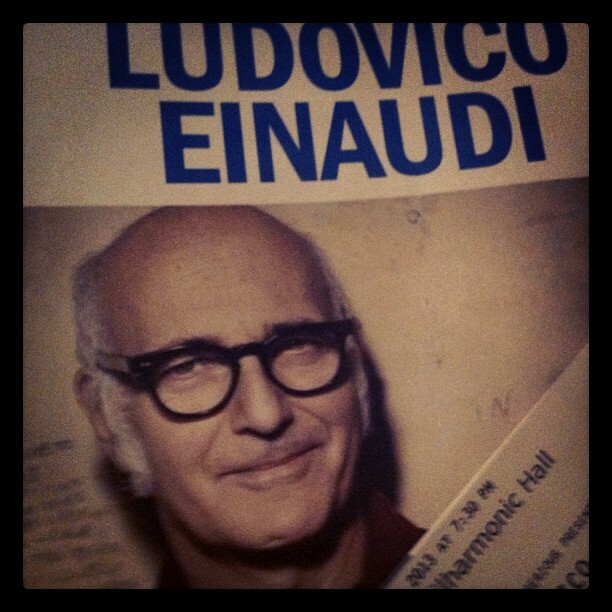 I had never heard of Einaudi before, but after that morning, I was completely bowled over. After everybody had left to go home, I hit YouTube and listened to I giorni over and over again, completely enraptured. 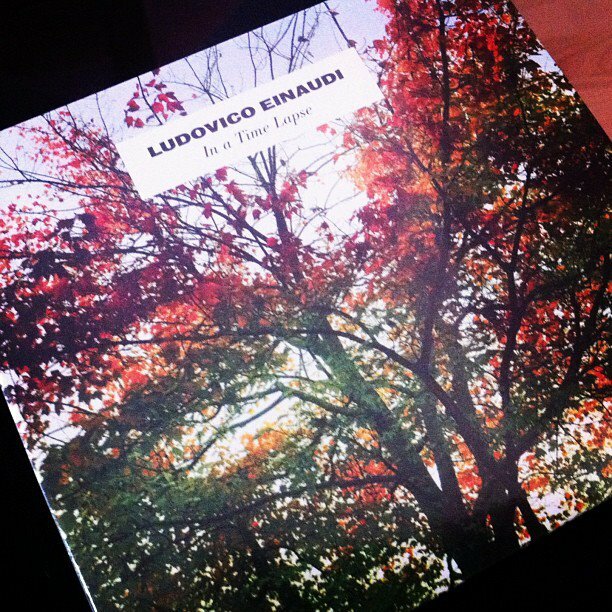 A few days later, I downloaded Nightbook from iTunes, and my love for Einaudi was born. Now I'm not a musical person....I can't play an instrument, and reading music just does not come naturally to me. But I LOVE music. I was brought up listening to quite a varied mix...from Steeleye Span, The Who, to Tchaikovsky, and from Elvis to Queen. Music has always been a part of my life, and I have the utmost respect for anybody who can play an instrument! What I love about Einaudi's work, is that every time I listen to a piece of his music, it speaks to me in ways I never thought music could. With each melody, a different story plays itself out in my head. One moment I'm choreographing a ballet, the next I'm running through open fields in a storm, looking for my long-lost love! His music carries me away into a land of dreams, and listening to it makes me feel all fuzzy inside. When I heard that Einaudi was coming to the Royal Liverpool Philharmonic, I knew I had to go and see him live. I couldn't buy my ticket straight away as I had to wait for payday, and prayed that when that day came, there would still be tickets left. To my delight, I was in luck! I nabbed myself a seat, and waited patiently for 15th April 2013 to come around. To say I was blown away by last night would be an understatement of gargantuan proportion! I'm not going to pretend to be a music boffin, and roll out lots of musical jargon about the pieces that were played, so I will describe what it was like sitting in the Royal Liverpool Philharmonic, at my very first classical concert, listening to Ludovico Einaudi. I have never been in a venue that is so big, yet makes you feel so close to an artist. I was in the Grand Circle, but it was almost like if I reached out my arm, I could get to the stage. Einaudi and the musicians were positioned in such a way that the venue looked very intimate and cosy. The first half of the concert was dedicated to Einaudi's newest work In a Time Lapse, and the second half was a mixture of new and old pieces. It felt really good to instantly recognise some of his pieces. Although I really like Einaudi, I would be lying if I said I knew all of his work, and could recognise every Einaudi piece just after a few notes, and know the title. I'm still learning, and growing I my love for this musician. There are pieces I play over and over again because I like them so much, and being able to pick them up, and sway my foot in time was amazing! The lighting throughout the night was highly evocative, which added to the intimacy. Different lighting designs were used throughout the night and choreographed to perfection to tie in to each piece of music. At moments, a series of lights would appear at different points on the stage, simulating candlelight. At other points, spotlights would be used to highlight musicians playing. During one piece, lights that looked like stars filled the ceiling of the hall, and made you feel like you were looking up at the night's sky. It was truly incredible. Einaudi was always highlighted in his position, to the left of the stage, meaning that you could not lose him from sight (not that you could ever forget where he was!) The silhouette of him playing that was cast on the wall of the hall was fantastic. Catching glimpses of it made it look almost if there was a mystical being playing the piano on the stage, and not just a man. The entire audience in the hall was completely silent the entire way through the concert. We were all taking this beautiful journey together, and lost completely in the music. It was a magnificent atmosphere, and added to the emotive ambience created by the magnificent Einaudi and the fabulous musicians on the stage. At points, I saw people around me reaching for tissues. And I'm not surprised. There were moments during the night where I felt myself welling up. But I was so mesmerised by the music that tears did not come! It was impossible. Instead, I let each melody wash over me, and transport me into the next phase of my imagination. Last night was absolutely PHENOMENAL! I am so glad I didn't listen to my first hesitations ("you can't go by yourself,") and took myself to see this spectacular performance! At the end of the concert, practically the whole of the Philharmonic was in a standing ovation We did not stop clapping for ages, and after the encore, Einaudi and his musicians got a second standing ovation. I will never forget last night for as long as I live, and can only pray that I get to go and see Einaudi live again! If you get the chance to go and see him. Do it. You won't be disappointed. This makes me want to go to the opera again. 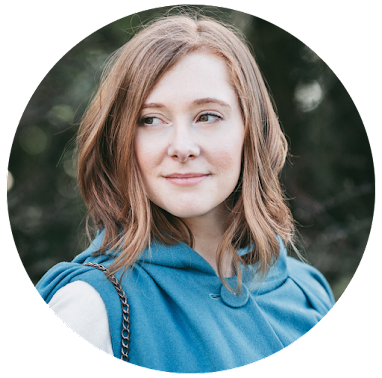 I was brought up the same way with everything from The Beatles to Wagner. I've never been to the opera. It has been on my list of things to do, but I'm not sure what's a good "starter opera" to go and see. Do you have any recommendations? You wrote this post with such passion! I'll have to look up Einaudi on youtube and add him to my Classical playlist. He is fantastic! And seeing him live was just breathtaking! I gioni and Fairytale are two of my favourite pieces.